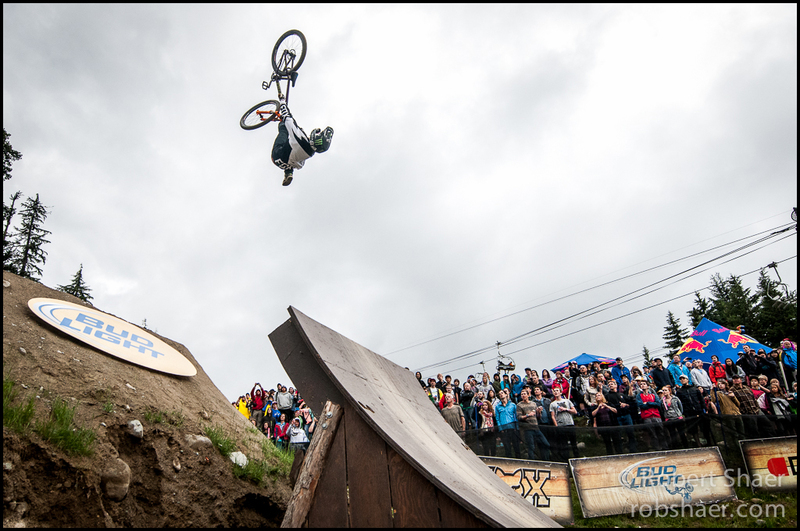 It’s been a month since I left Whistler after 10 days on the mountain with Crankworx, and what a month. I’ve been back to Whistler for event shoots with 5 Peaks and the Meet Your Maker Ultra Marathon event as well as keeping busy in Vancouver with corporate, commercial and more event work. The busy season still has a lot of fight left in it. 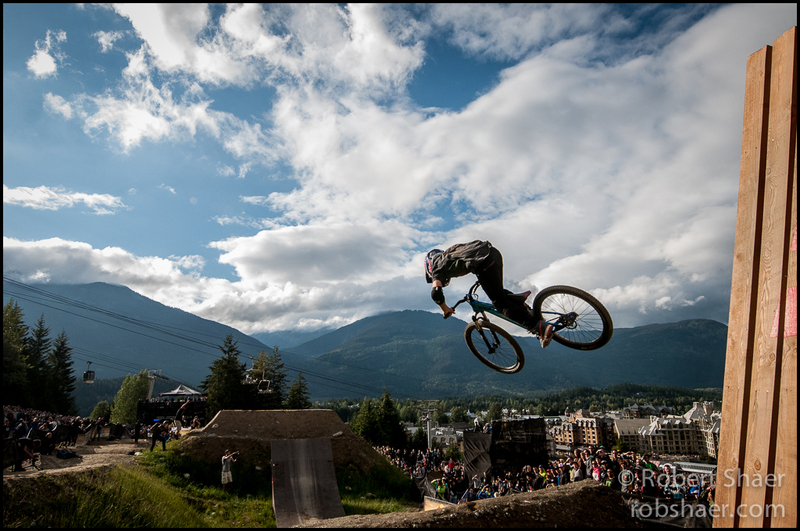 It was great to be in Whistler again for Crankworx but it wouldn’t have been possible without the support of some great folks including Patti Houston whose ‘sponsorship’ package made the week possible for me. Thanks to the gang at SUPERDROP for keeping me energized and alert with a week’s worth of buzz from their new energy product and to Ultra Runner, James Marshall, for the case of Cariboo which was a cool welcome home after a day in the dust, or rain, on the mountain. 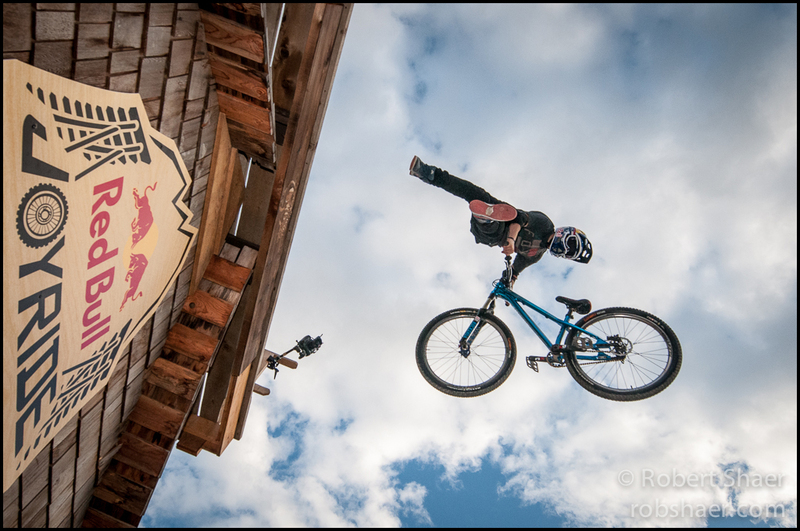 In some ways Crankworx feels a bit like a working holiday, although I am certain no one on our team would describe the week in Whistler as a vacation. For me it feels a bit like a holiday because I was able to focus on one thing for the week at the expense of the day to day chores of life at home. Despite arriving in Whistler with a ton of work on my desktop, I greatly appreciated the opportunity to shoot every day. I believe and I have mentioned it before, there is no substitute for intensity and immersion when it comes to photography and honing your craft. 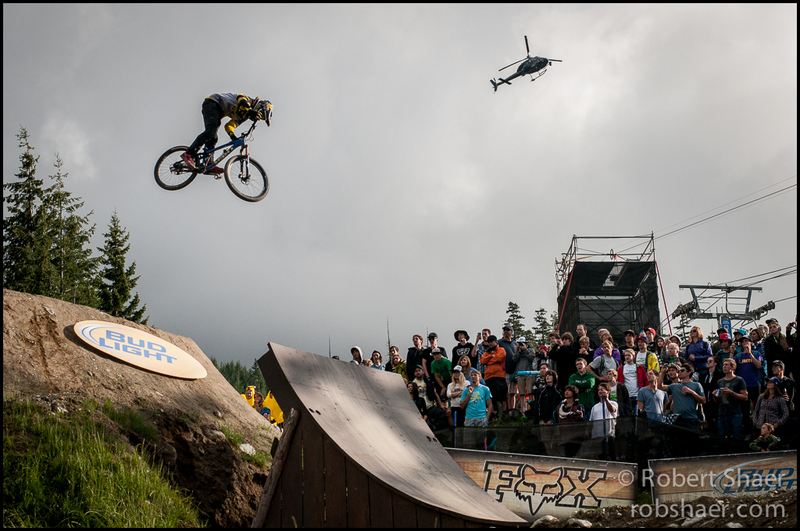 This year Crankworx was also a tremendous learning experience in adapting to challenges. Leading up to Whistler I was starting to notice that my camera, a Nikon D300s, was not performing quite as expected and my auto focus was starting to act erratically and unpredictably especially when using the otherwise exceptional Nikkor 14-24 f2.8. While I have since upgraded my camera body, more on this later, on event week my ‘gear frustration’ was at a high point and I ended up shooting on manual focus much of the week when using the wide glass. It is a testament to how talented and hard working sports photographers were prior to auto focus, power drives and long before the digital era. 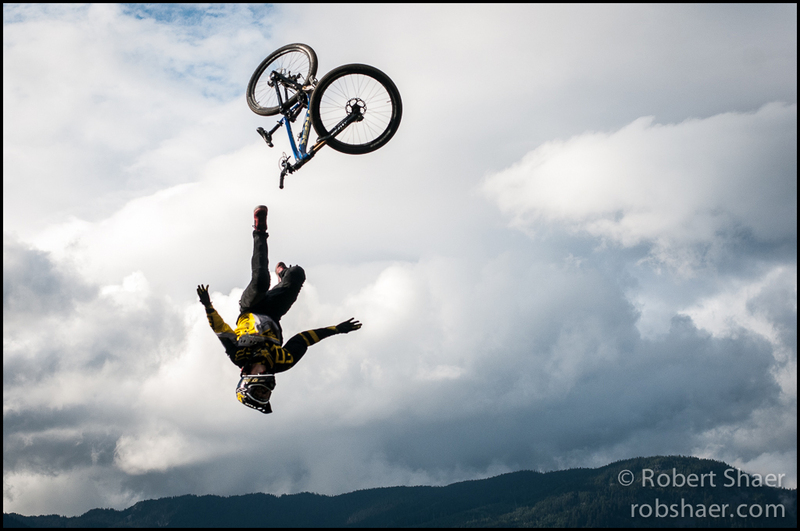 Below are a few images from the Red Bull Joyride event int he Whistler Mountain bike park. 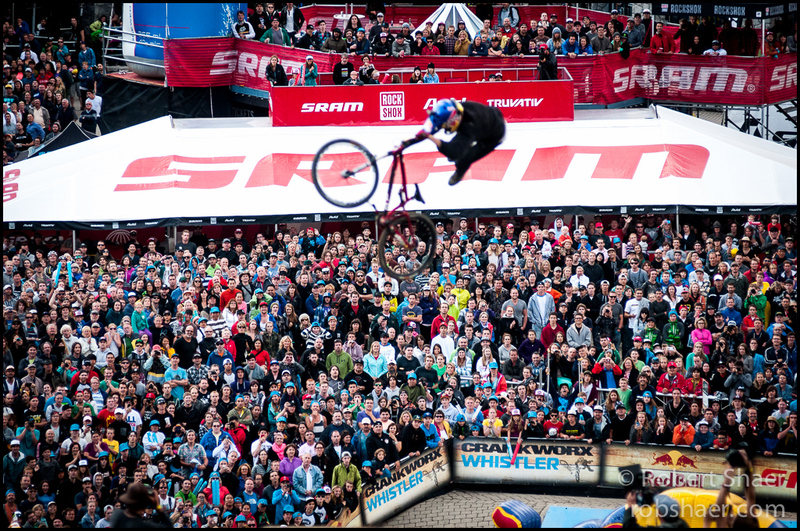 There were plenty of spills, chills and thrills to go around.